Did you know an astonishing 88 percent of consumers trust online reviews as much as personal recommendations? Like them or not, online ratings and reviews are here stay. Join The Paperless Agent’s Garry Wise and Chris Scott for a webinar on “How to use Online Ratings & Reviews to Promote Word-of-Click Business.” Learn to gain an advantage using online ratings and reviews. How you can get online reviews that will make you look like a rockstar. The best rating and review sites for real estate professionals and brokerages. How to boost your marketing with the power of social proof embedded in every online review. How to respond to negative online reviews and turn them to your advantage. Don’t just stick with the real estate portals. Google Reviews and Yelp are often overlooked, yet receive more consumer traffic than most of the real estate search portals. Pump up your LinkedIn presence. Consumers will inevitably search your name online, and chances are, your LinkedIn profile will be in the top 3-5 results. Knowing they will research you there is reason enough to make sure you don’t neglect this site. Craft a rating and review collection campaign. Reaching out to your past clients to get ratings and reviews that adequately represent the quality you provide is a great way to boost the quantity of reviews you have. 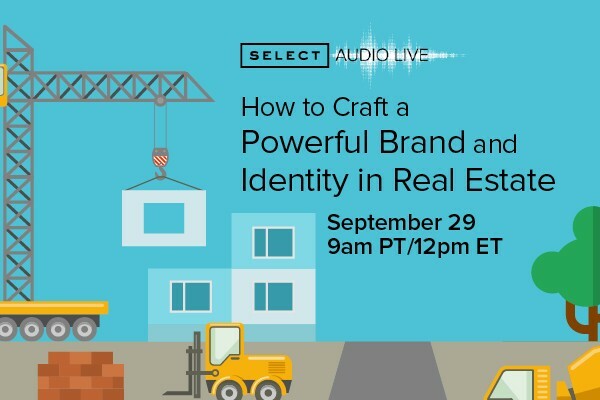 We will be covering these topics in-depth during this Select Audio Live webinar. “How to Use Online Ratings & Reviews to Promote Word-of-Click Business” is for agents, brokers (big or small), and anyone responsible for how their firm is represented by sales agents in the field. Select Members: Attend this webinar and get the Online Rating & Reviews Success Kit containing step-by-step instructions to attract and manage your online reviews. Save your spot now and register today.